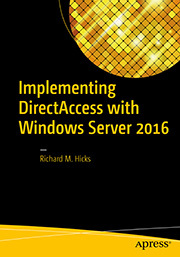 Las Vegas | Richard M. Hicks Consulting, Inc.
Did you attend the DirectAccess session at this year’s Microsoft Ignite conference? Of course not. There wasn’t one! Not to worry though, as I will be presenting DirectAccess sessions at several different events around the country later this year. 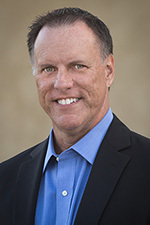 If you’re looking for deep-dive DirectAccess training, I’ll be delivering a three-hour training session at the TechMentor Conference in Redmond, WA. The event takes place August 3-7, 2015. Don’t forget to use registration code TMRSK05 to save $500.00! If you are on the east coast of the U.S. you’ll be happy to hear that I will also be presenting a DirectAccess session at the TechMentor Conference to be held at the Royal Pacific Resort at Universal in Orlando, FL, from November 16-20. I’ll provide more details on this event soon. 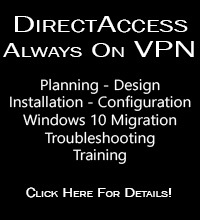 In addition I will be delivering a few DirectAccess sessions at IT/Dev Connections in Las Vegas, NV. I’ll be covering topics such as DirectAccess design and configuration, as well as implementation tips, tricks, and best practices. This event will be held at the Aria Hotel and Resort from September 14-17, 2015. Hope to see you at one of these great events this year!